The success of your business hinges on its ability to communicate reliably. VoIP telephony makes that possible all while reducing overheads. Nonetheless, with hundreds of different models of VoIP phone on the market, it’s not always easy to choose the right ones. Are They Compatible with Existing Systems? There’s not much point investing in VoIP phones only to find that they’re not fully compatible with your existing service provider or phone system. It’s easy to assume that every IP phone will work with every system, but that’s not usually the case. Fortunately, open-source phone systems and BYOD service providers can alleviate compatibility issues, but you should always check with your phone system vendor first before buying additional IP phones. Most importantly, you should find out which protocols and codecs your service provider supports. Most phones support SIP and all the major voice codecs, but there are some exceptions. Which Features and Functions Do You Require? 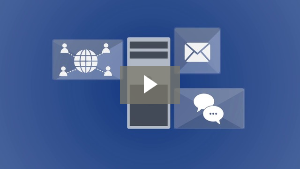 Modern phone systems have evolved far beyond basic dial tones and voicemail. Nowadays, many businesses implement unified communications (UC) systems for the centralized management of all communications, including video conferencing, telephone calls, and instant messaging. The features you’ll need depend on who will be using the phone and what they’ll be using it for. Executives, for example, may need the widest possible range of features while reception teams might only need to worry about the number of simultaneous calls they can handle. Standard VoIP phone features include call waiting, transferring and parking and support for conference calls. Other features you may want include larger displays, support for video conferencing or more powerful speakerphones. The number of incoming calls that need to be handled simultaneously is also an important consideration. For most office workers, three should be enough, but operators and receptionists may need a VoIP phone that can support as many as 10 simultaneous phone calls. What Types of IP Phones Are Available? VoIP vendors typically offer multiple levels of IP phone with different models tailored to different job descriptions. For example, an executive IP phone should feature all the bells and whistles, including full-color touch screens, high-definition audio, built-in UC functions and support for video conferencing. By comparison, basic models are designed with everyday use in mind, such as in traditional and back-office environments and other situations where no additional features or functionality are required. Finally, there are also models specialized for use in call centers, which provide things like automated attendants, personalized greetings, call queuing and call monitoring and recording. Again, to choose the right type of IP phone, you’ll need to define the capabilities of your existing infrastructure and the individual roles of your staff. Up your tech game by adding Managed Services from IntelligIS to your IT arsenal. 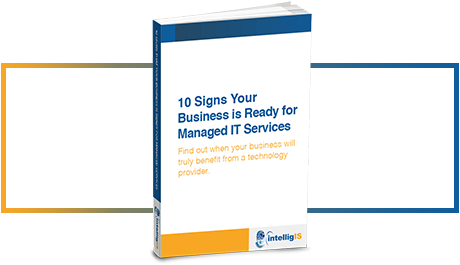 Our informative eBook "10 Signs Your Business is Ready for Managed IT Services" awaits you. Need IT support? Want to secure your data? Looking for a more efficient way to work?